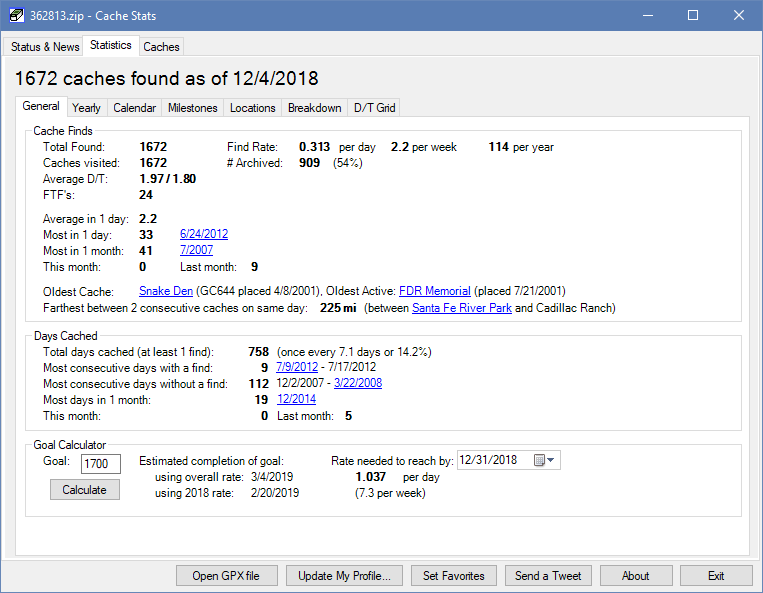 CacheStats is a Windows application that displays your geocaching statistics. How has your find rate been holding up over the years? What are your longest streaks? What will it take to reach your end-of-year goal? 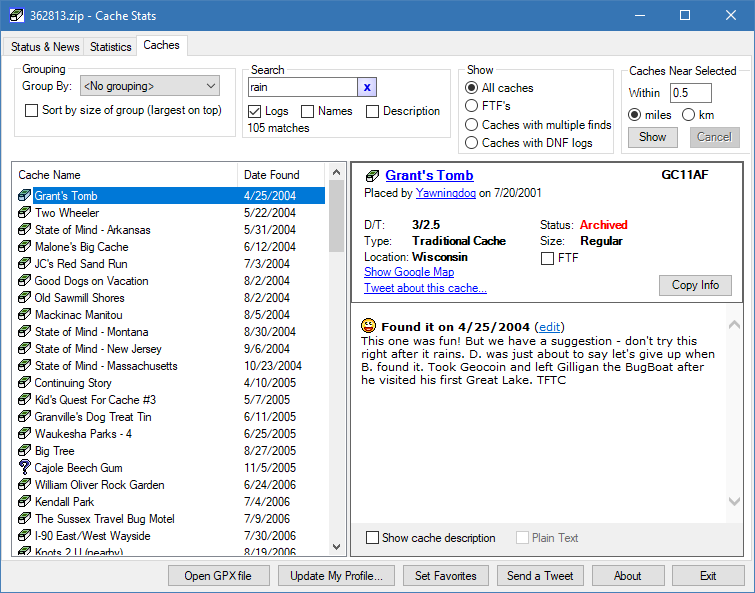 CacheStats analyzes your "My Finds" pocket query to find out all this and more. CacheStats is free, so go ahead and download now! 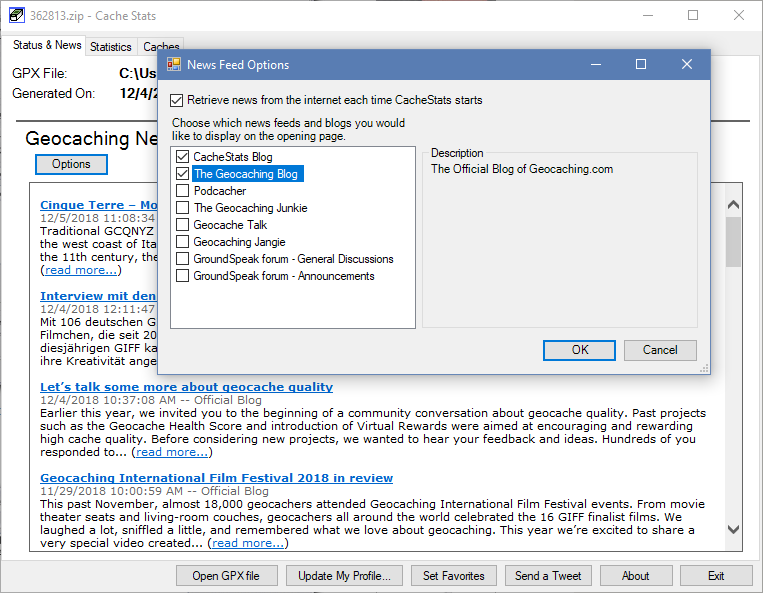 After the download finishes, run CacheStatsSetup.exe to start the installation. You may get a warning stating the program is from an unknown publisher. It's safe to ignore the warning and proceed with the installation. See the complete instructions for more information. 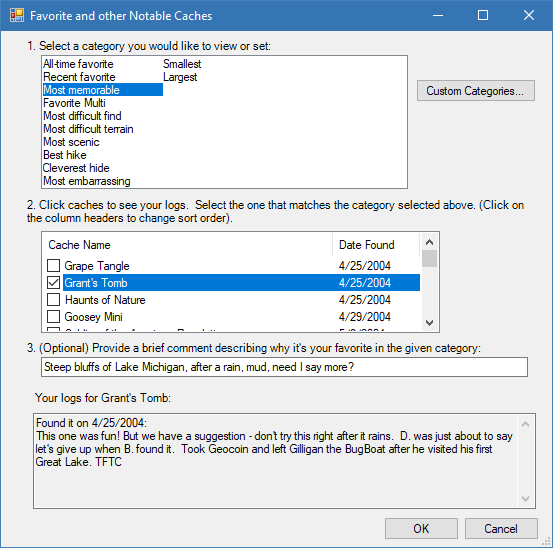 If you'd like to share your statistics and favorites with the world, CacheStats can generate text for your geocaching.com profile. Click for sample. Geocaching is a high-tech treasure hunt using GPS technology. You can learn more at www.geocaching.com. Geocaching icons Copyright 2009 Groundspeak Inc. Used with permission. All rights reserved.